Line a serving plate with several absorbent napkins and set aside. Cut each uncooked biscuit into quarters and set aside. Pour cooking oil into a large pot over medium-high heat. Allow cooking oil to get hot 350 to 375, do not allow it to reach the point of boiling. Carefully place about 4 or 5 biscuit quarters into cooking oil. Allow them to turn golden brown on both sides. They will cook quickly but sometimes you must flip them over in the cooking oil to completely brown both sides. Remove them from the cooking oil and place on a napkin-covered serving plate to drain. Repeat this until all biscuit quarters are golden brown and draining. 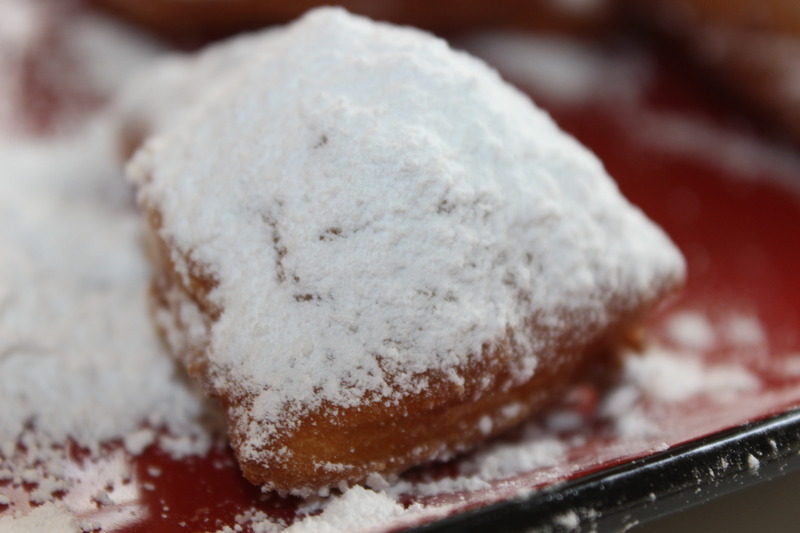 Lightly sprinkle confectioner's sugar over your batch of bite size beignets and remember to share. Caution: The cooking oil will be extremely hot. Always use caution when lowering uncooked biscuit quarters into pot as the oil will pop and splatter.